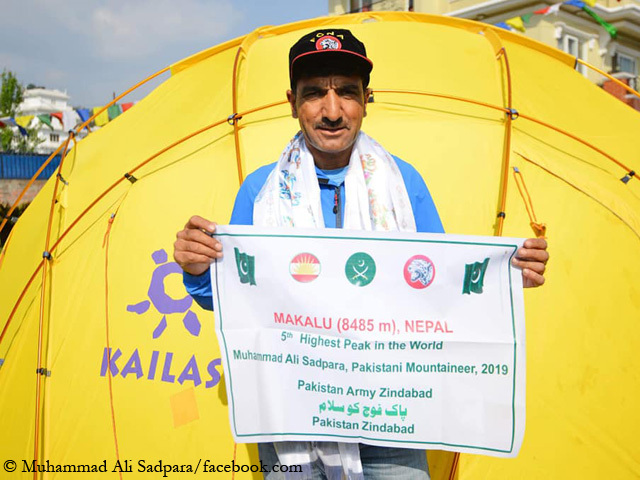 Muhammad Ali has climbed all five eight-thousanders of his homeland Pakistan. He became world famous in February 2016, when he succeeded along with the Italian Simone Moro and the Spaniard Alex Txikon the prestigious first winter ascent of the 8,125-meter-high Nanga Parbat (the South Tyrolean Tamara Lunger had to turn back 70 meters below the summit). In winter 2017/18, he accompanied Txikon during his failed attempt on Mount Everest, Muhammad then climbed up to 7,700 meters. 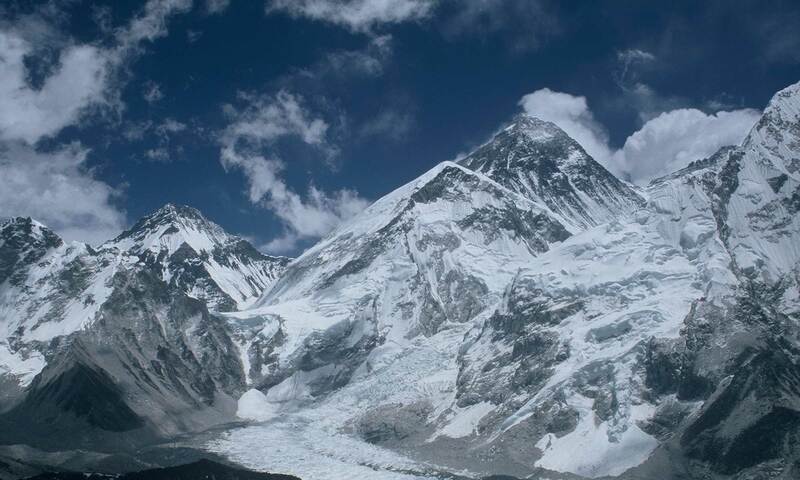 During the expedition he reached with the Spaniard the summit of Pumori (7,138 m). Last February, Ali joined the search for the two climbers Daniele Nardi and Tom Ballard who were missing on Nanga Parbat and were later discovered dead in the rocky terrain of the “Mummery Rib”. 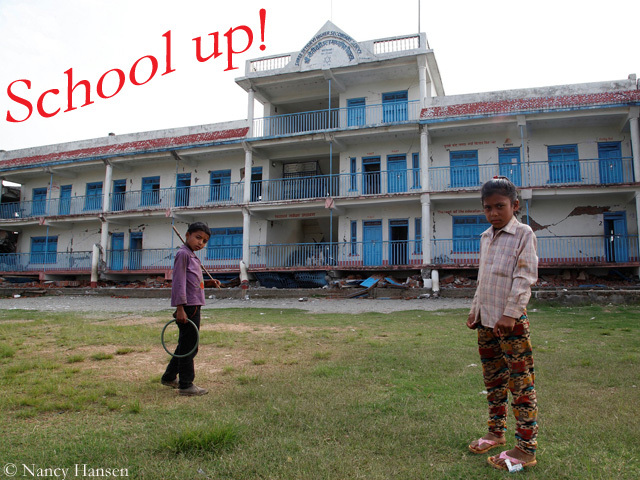 Muhammad was born in Sadpara village near the town of Skardu, the starting point for most expeditions in the Karakoram. In 2000, he began to work as porter in lower altitudes for foreign expeditions, as well as for the army that has stationed soldiers in the Karakoram because of the ongoing conflict with India over Kashmir. In 2004, he was hired for the first time as a high altitude porter by a Korean K2 expedition. Ali scaled his first eight-thousander in 2006: Gasherbrum II (8,034 m), during an expedition of the German operator Amical alpin. In 2008 (again with Amical) and 2009, both times in summer, Muhammad was successful on Nanga Parbat, 2010 on Gasherbum I (8,080 m). 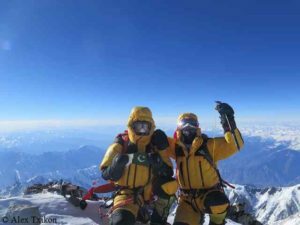 In 2012 on Broad Peak, he reached the lower Central Peak (8,011 m), in 2017 also the Main Peak (8,051 m). 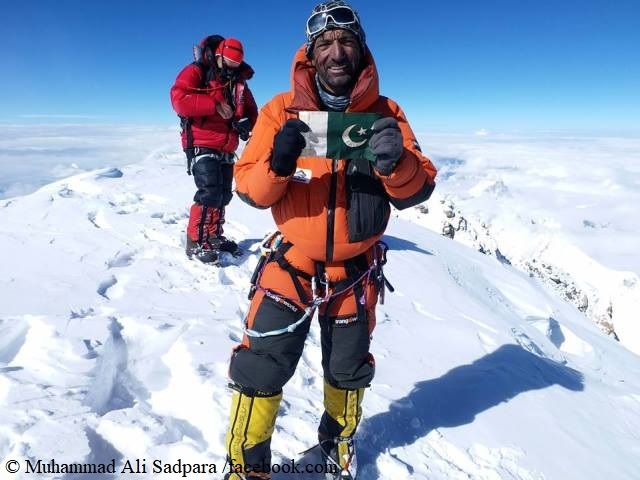 In 2018, Ali completed his collection of the five Pakistani eight-thousanders by scaling K2 (8,611 m), the second highest mountain on earth. Previous PostPrevious New routes on Annapurna, Dhaulagiri and Everest?